That’s 300ms for a single basic dependency. Importing the entire IMVU client takes 1.5s warm and 20s cold on a typical user’s machine. The IMVU client’s loading progress bar imports modules bottom-up; that is, leaf modules are imported before their parents. The root module is imported last. # dependencies before we have access to the actual module objects. 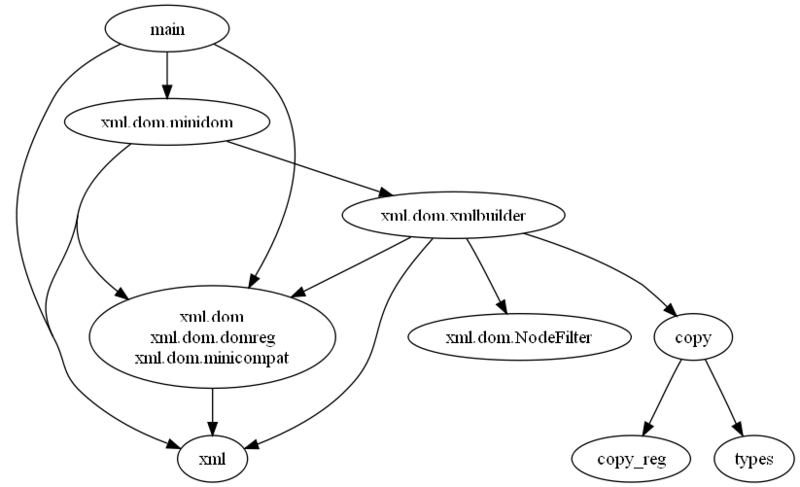 # both 'xml' and 'xml.dom' modules. # Import module_name with import hook enabled. (You can view all of the code at SourceForge). Final notes: Other people have solved this problem with bytecode scanning, but we wanted to know the actual modules imported for an accurate progress bar. 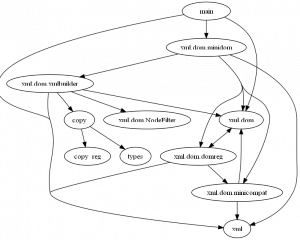 A simpler __import__ hook could have calculate the correct import sequence, but I find a visual representation of module dependencies to have additional benefits. I’m curious: have you tried to postpone some of the imports to make the startup faster?